J﻿enna is a stitcher, crafter, and artist, in New Jersey. Originally from Massachu﻿setts, she has a degree in theatre concentrating in costume design and construction at Skidmore College. 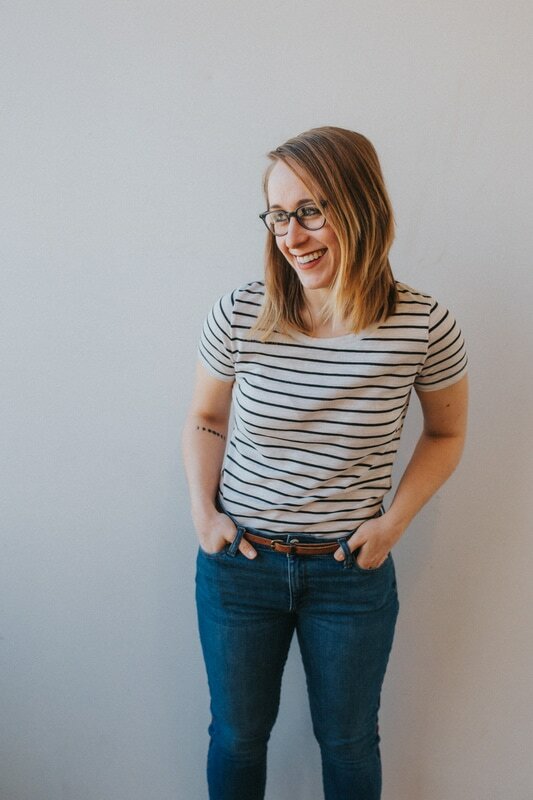 After graduating Jenna started a career in theatre, working in costume shops and for a number of off-broadway theatre companies, before changing gears and taking the leap to follow her passion for producing her own designs. Jenna has always had the desire to create things with her own hands. From a young age she could not sit still for longer than a few minutes before reaching for something to fuel her creativity, whether it was a crayon, knitting needles, sewing machine, or linoleum block. Her designs take inspiration from tribal art and vintage prints, creating a unique, versatile style and texture. Every piece is hand crafted using natural materials and vegan leather. Every piece is made entirely by hand starting by carving the stamp to create the print, to the construction of the finished product. Jenna takes pride in being able to create something that is useful and beautiful and entirely her own aesthetic. Making earth conscience choices for her business, from the ink she prints with to the shipping materials used to complete an order, are very important to Jenna. She believes that if we all make better choices for the earth we can made a difference.